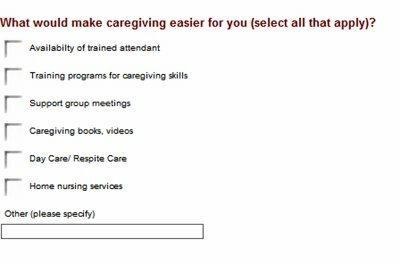 Yes, folks, trained attendants are a critical element of dementia home care. Now on to briefly narrate my own successes and failures in using attendants (allegedly trained) for helping me care for my mother…and some lessons I’ve learned along the way. Because I was ignorant about a medical reason underlying my mother’s strange and difficult-to-handle behaviour, I assumed such problems were part of ageing, and wondered how others managed and retained their sanity. 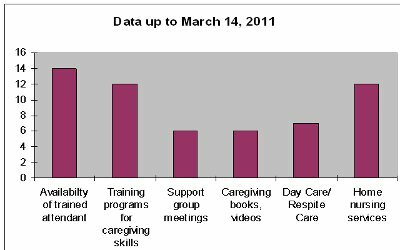 I did not know there were caregiving techniques that could be applied. My mother would forget to eat lunch left for her in a hot-case, or walk out of the house and look puzzled, or get confused between dusk and dawn, and I would try to “explain” things to her. At that point, I did not even consider employing a trained attendant. Then came my mother’s diagnosis. The doctor told me problems of “memory loss” would increase, but the nature of problems looming on the horizon still eluded my comprehension. Even so, I could see that she could no longer be left alone at home. Accusations and delusions were becoming commonplace, as was self-neglect. Though I wanted to recruit help, my mother vehemently opposed the idea. She (1) did not think she had a problem (2) refused to have anyone around her all day (3) felt I was neglecting my duty as a daughter if I wanted to go out of the home instead of being with her all day. She found fault with every maid I suggested. Thanks to Internet, I was reasonably informed about how to communicate with my mother, and how to help her. I was also lucky that I’d managed to get a full-time person for her after our move. A one-bedroom apartment for my mother and the full-time attendant was set up specifically so that it was both roomy and safe and exactly met all that my mother and her attendant could need. Yet, things were still not working out. There were episodes of rages and accusations by my mother, and attendants were unhappy, too. I would spend hours with my mother, and most of these went listening to her unhappiness and complaints about the attendant, about me, about what visitors said, or things she imagined because of what she’d been told by visitors or had imagined in her deluded, jumbled-up reality. I would end up spending most of my time calming her, but soon after, she was back to her agitated state. Sometimes, she was depressed because she did not understand why she was not “normal”. There were days she seemed happy and calm, and I noticed these were days when she spent a more structured day with less interactions or stimulus. A few days ago, I read the blog of someone whose father-in-law has dementia, and she shared the problems and overwhelm of caregiving. The blog brought back many memories of several ‘challenging’ situations I faced with my mother for years. Things are relatively smooth for me now as far as behavior-related challenges, because my mother is not aggressive or abusive, but that was not always so. 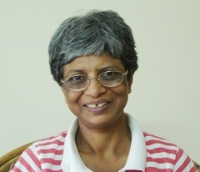 I have been caregiving for my mother for twelve years now, and quite a number of those years were rather full of the typical problems of early and middle-stage dementia–wandering, repetitive questions/ comments, accusations that we were starving her/ stealing from her, hitting out, hallucinations, removal of clothing, what have you. One common problem caregivers face in India is finding nursing attendants who will take care of the dementia patients. Such assistance is needed when the dementia patient is in the middle or later stage and cannot be left alone because the patient may need help with activities of daily living, or is otherwise prone to wandering, and the family members cannot do this kind of care giving full-time. In India, people employ a untrained maid in the beginning for such help, but once the patient starts getting incontinent or otherwise difficult to handle, we usually get a nursing attendant from a home nursing agency. The problem is, even ‘trained’ attendants are rarely trained to care for dementia patients. Most attendants have undergone a week or two of training, and while they know about first aid, home nursing and bed sores, they do not know about dementia. So, faced with a dementia patient’s difficult behavior, they take every frustration, every anger, as a personal insult. When the family members say this is a disease, they do not believe it. They get upset and this comes out as either agitation with the patient, or depression, and the situation escalates. Most stints by attendants are short-lived and end with sorrow and bitterness as the attendants cannot cope with the situation.